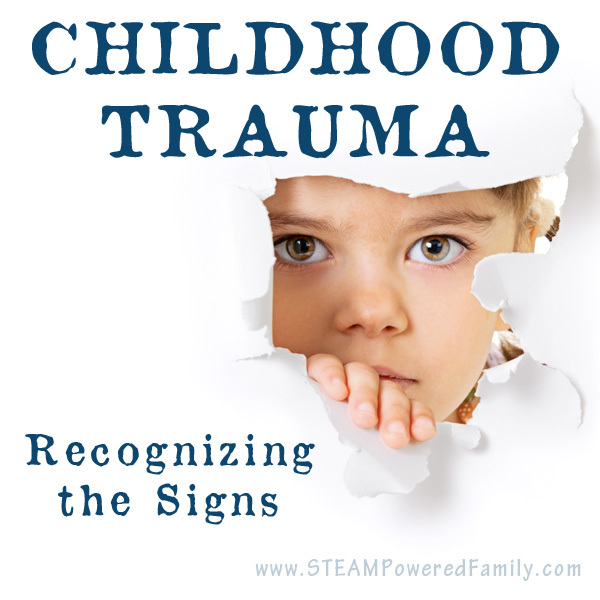 How can you recognize childhood trauma symptoms? Sometimes you just know. I knew. Deep in my gut I knew something was wrong. What child vomits every time you take them outside? Why would a child shriek in this high pitched noise, for hours on end until my ear bled? What baby stiffens like a board, solid from the top of his head to the tips of his toes, each time you held him? Why would my toddler sit for hours on end, bouncing objects against a wall? How did my toddler have such intense flight/flight/freeze reactions that he was injuring full grown adults? But of course, he was too young to remember. He was only just shy of 10 months old when we held him for the first time. Children are resilient, tough, they don’t understand what is truly happening. He was too young to remember the atrocities he survived. Except he wasn’t. All those people were wrong. Trauma is devastating to a young brain that is still growing and forming core neural pathways. 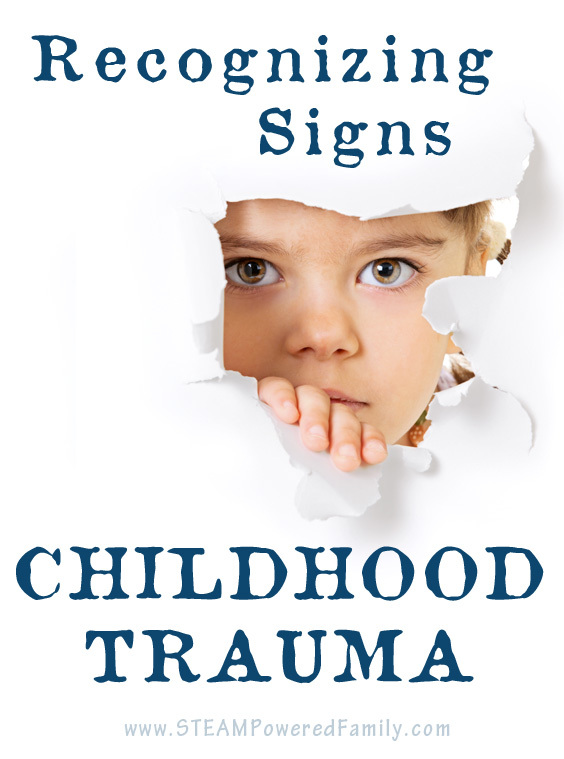 My mommy gut recognized the signs of childhood trauma symptoms. It’s society that all too often doesn’t recognize the signs of early childhood trauma and this can confuse parents who are struggling to help their children. Early childhood trauma can happen in many ways. Those that are fostering or adopting children are more likely to encounter the effects due to extreme losses, challenges and adverse experiences these children have lived through, but even children in secure, safe homes can experience trauma. 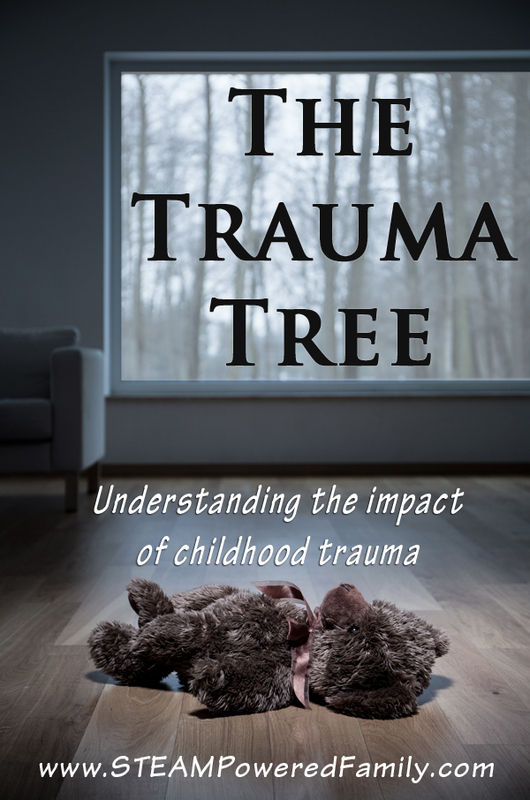 Trauma can be caused by neglect, abuse, hospitalization/medical procedures, death or loss of a parent/caregiver, natural disasters, war, bullying, even a severe accident. Trauma can occur at any age (even prenatally), and it can happen to anyone. The struggle with identifying the effects of childhood trauma exposure is that it is complicated, just like many other mental health issues. Two people can go through a traumatic experience together. One will develop PTSD and the other seemingly escapes unscathed. Doctors are not sure why people react so differently to the same events and this can make identifying and recognizing the symptoms of trauma exposure even more difficult, especially in children. Two children may have exactly the same experiences, yet one only has minor struggles with language while the other has intense disabilities and delays. Trauma and mental health issues are extremely tricky beasts this way. They affect everyone differently. Not only that, but different issues may only start to present themselves at different times. But there is something most of us have, it’s universal and it’s that gut feeling that we as parents have when it comes to our kids. If your gut is telling you this is something you need to look into, keep reading. The first step to identifying the possibility of a trauma disorder is to determine if a traumatic event has taken place. This may not be as easy as it sounds. Many abuses, neglect and bullying happen in secret and it can be hard to determine that traumatic events are occurring. Other times the event or traumas may be easy to identify. If you suspect your child has experienced a traumatic event, or series of traumas, it is important to start recording their behaviours and possible triggers in a journal. This journal will be very important in the diagnostic process and treatment for your child. Look for behaviours that are out of the norm or extreme in nature. One of the greatest struggles parents of special kids face is other parents telling us “it’s normal” for our children to exhibit certain behaviours, but as parents we are the best judges of when a behaviour goes beyond normal ranges and it is time to seek professional help. Don’t let well-meaning but misguided people prevent you from seeking help. 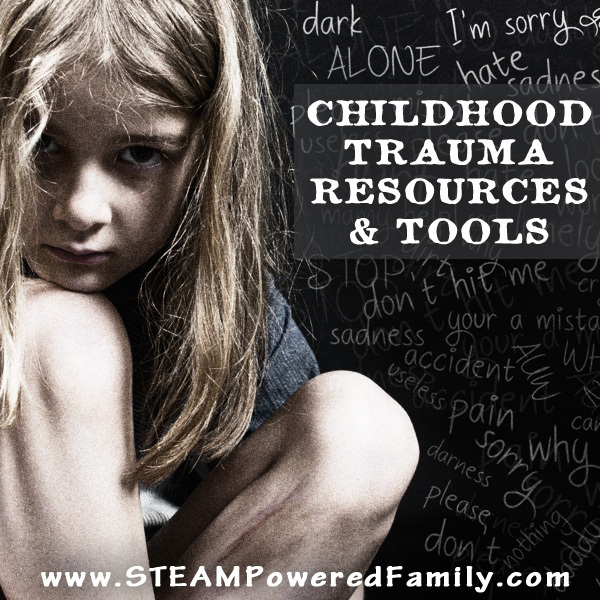 For a comprehensive resource on Childhood Trauma, check out this resource. This is far from an exhaustive list, if you think a behaviour or issue is related to trauma exposure, record it in your journal. Heck, even if you have no idea why the behaviour is happening, if it is disruptive record it and as much information as possible about the situations around the behaviour. Once you have spent the time recognizing and documenting the signs of a possible trauma disorder, you can use that to start advocating to get the right help for your child. 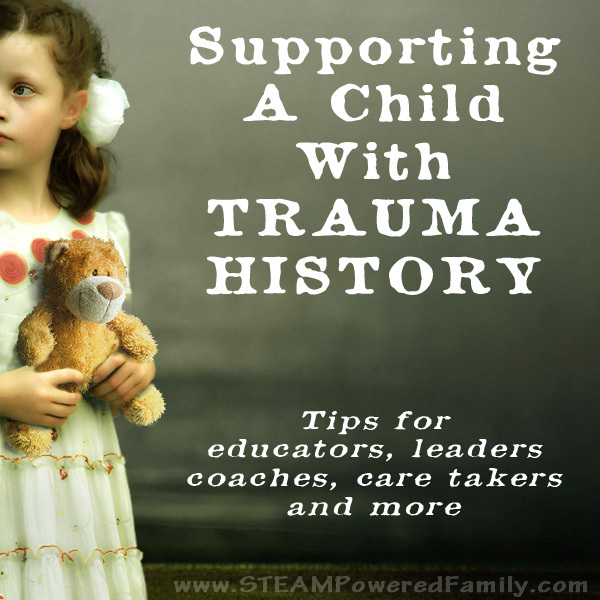 The field of childhood trauma is relatively new, there are many who do not understand it or how to work with traumatized children, so it’s important that you educate and arm yourself with as much knowledge as possible so you can help your child. Read, read, read. There are some fantastic books that can help you understand childhood behaviours better. One thing that is common in children who have experienced trauma is sensory issues. I’m not sure I’ve ever met a trauma child who doesn’t struggle with sensory issues. Sensory Processing 101 is a fantastic resource to help you understand what is normal, how to classify certain behaviours, and some things you can do to help address sensory needs. The effects of childhood trauma can last a lifetime. Childhood trauma symptoms don’t go away like a flu bug. It’s important to understand how trauma can be the root cause of so many issues such as ADHD and ODD. By understanding the source of the disorders we can better treat and parent the child so they can become successful adults. Recognizing the signs was just the first in a very long journey toward helping my son. If you have a child that has experienced trauma, watch for the signs and seek professional help if you start to see areas of concern. In honour of all the parents and families helping children with trauma histories I wrote a story called Shattered Embrace. Although it is fictional, the story is very real and pulls on the threads of my own experience and those I’ve connected with over the years as we face childhood trauma together. While reading your first paragraph, I cried. I know it all too well with two adopted daughters who have Reactive Attachment Disorder. I love the tips you give here to help parents prepare to meet with a specialist, especially when it comes to the sensory aspect of things. I am really interested to read your post, I’m doing a lot of research on attachment. My partner and father to my 2 children is now 33, at 2 he was fostered and suffered neglect and abuse at the hands of his birth mother. We’ve recently read his social services reports, he had and has a lot of the indicators you stated in this post. He was functioning at 15 months when he was 3 and could only say 2 words at 2 and a half years. He has severe Dyslexia and learning difficulties. His growth and development was effected as he was left in his cot for the majority of the day. He was extremely jealous of his younger brother and has a fairly young mind for 33. I also read of behavioural problems. What I am researching at the moment is if attachment, behavioural issues can be passed down to the next generation, my 4 year old has SPD with traits of ADHD and ASD, even though my daughter is growing up in a different environment to her father, she is a carbon copy of him as a child. He went to live with his father at 4 years old as his mum hadn’t named on birth certificate and therfore had to prove via DNA test that he was the father. This post has left me with a lot to think about. I never thought about how some of my daughter’s early medical experiences could have affected her long term. She certainly struggled desperately, especially when she was on a chemo drug that made her sick. I’ve seen a number of issues on the list. I’ll have to look into this deeper. I am confused. My son exhibits many of these traits, some of them since before preschool. I gave birth to him and he hasn’t suffered any abuse or neglect. I know I haven’t been a perfect mom. I yelled at him a lot when his younger brother came along because he was very needy and I was under a lot of stress and had very little help. But he was diagnosed with developmental delays even before that. He’s since been diagnosed with ADHD and is on the autism spectrum. He has sensory issues, depression and anxiety and frequent screaming fits/emotional breakdowns. He’s 13. Wishing you and your child the best of luck and much healing.